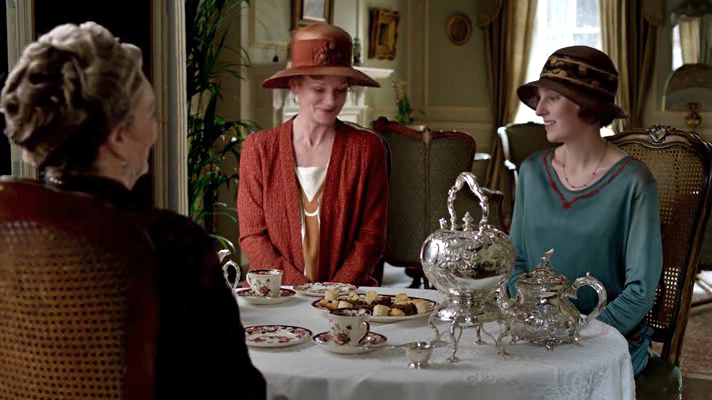 Miss Patisserie: "Downton Abbey" Tea Party! I can barely contain my excitement! 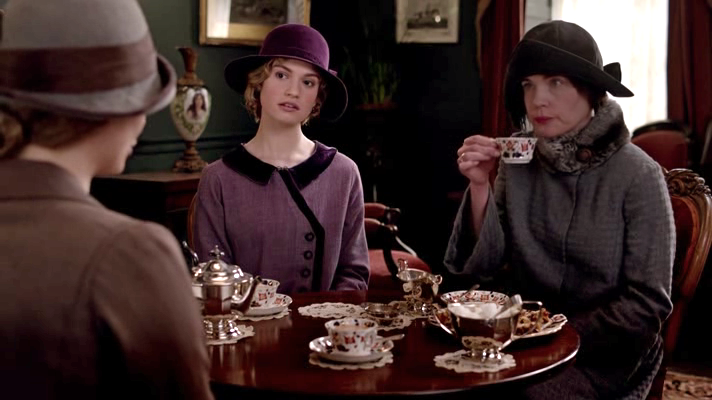 In just a couple of days, the next season of "Downton Abbey" airs on American television. After nearly a year-long hiatus, I've missed following the characters through their fascinating twists and turns. Scriptwriter Julian Fellowes' complex story kept me on the edge of my seat for the first three episodes. I can't imagine what new plot developments await us. 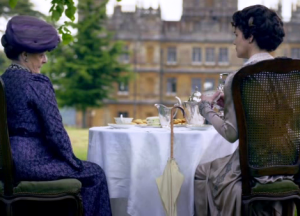 Who will manage the Downton estate now that Matthew is gone? Perhaps Lady Mary will find a new suitor? Will the wild spirit of the 1920s liven things up? A "Downton Abbey" tea party calls for a beautiful bouquet! Tablecloth is optional; fine furniture need not be covered. In a bowl, mix the dry ingredients. Cut butter into small pieces and then add incorporate the butter into the flour mixture until the mixture resembles coarse crumbs. In a small bowl, whisk together the eggs and cream. Stir in the currants until they are evenly distributed. 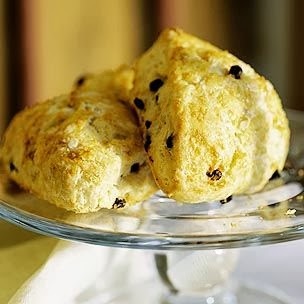 Step-by-step scones making instructions: Gently knead the dough by pressing it with the palm of your hand on a floured surface or in the bowl about 5 or 6 times. Stop when the dough holds together. Be careful not to overwork the dough—it should be soft (otherwise the scones will be tough). Form the dough into two equal portions and shape each portion into an round that is 1 inch thick and 6 inches in diameter. Cut each round into 4 wedges. Arrange the wedges about 2 inches apart on the baking sheet. Bake until the scones are crusty and golden brown, about 15 minutes. Serve scones immediately accompanied by clotted cream and lemon curd or jam. Cucumber finger sandwiches are the classic choice for any afternoon tea menu. These dainty crust-less sandwiches provide a nice savory contrast to the selection of sweets served with afternoon tea. If you're in London, you'll see these sandwiches on the menu of almost every fancy tea salon. Jessica Fellowes, the niece of "Downton Abbey" screenwriter Julien Fellowes and author of "The World of Downton Abbey" recommends the tea salon at the Cadogan Hotel, which she describes as a "sumptuous affair." The Cadogan Hotel offers cucumber sandwiches, scones with clotted cream, and sweet treats—much like the afternoon tea menu that I've described here. Peel the cucumber and cut it into thin slices. Whisk together the cream cheese and whipped cream. Cut out the white bread in equal-size rectangles or use cookie cutters to create shapes. Spread the cream cheese mixture onto the bread. Make sandwiches by placing slices of cucumber between two slices of bread. Serve at room temperature. To make the tartlet shells (crust): Mix together the flour, sugar, and salt. Add the butter and combine using your hands or in a food processor, until the mixture resembles pebbly sand. Blend in the egg yolk. Add the ice water slowly, and continue mix just until the dough comes together. (Dough should still be a bit crumbly.) Shape into a ball, wrap in plastic, and refrigerate at least 1 hour (or up to 2 days). How to bake the tartlet shells: (This is a "blind bake" recipe, meaning you bake the crust without anything in them.) Preheat the oven to 350 degrees Fahrenheit. Roll out dough to 1/8-inch thickness. Using a 3-inch cutter, cut out circles. Fit circles into 2 1/2-inch tart molds (or smaller), and refrigerate for 15 minutes. Line shells with squares of parchment paper, fill with pie weights or dried beans, and bake for 20 minutes. Remove parchment pieces and weights, and bake until shell is golden brown, 8 to 10 minutes. Let cool on a wire rack for 15 minutes. Invert shells onto rack, and let cool. How to make the filling: Mix vanilla seeds into crème fraîche until well combined. Spoon filling among tart shells, and top with strawberries. Serve immediately. *How to hold a teacup? Place your thumb on the front of the teacup handle and your index finger on the back of the handle. This allows you to hold the cup with three fingers. 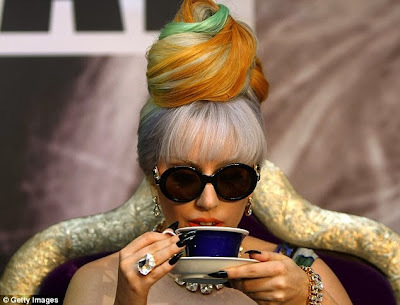 The "pinkies up" position is not necessary, but it's considered improper to hold the cup with five fingers. Do not loop your fingers through the handle or grasp the cup with the palm of your hand. Lady Gaga demonstrates the proper way to hold a teacup! *How to eat a scone? You may eat a scone similar to a dinner roll. Split it horizontally with a knife and use the knife to apply the jam, clotted cream or lemon curd. Then you may eat the scone neatly with your fingers. The proper way to eat a scone is by breaking off small pieces, using your hands. *How to serve sugar cubes? The proper way to serve sugar cubes is with tongs. Use the tongs to pick up a sugar cube and place it in your teacup. Do not use your fingers to pick up sugar cubes. The traditional way to serve sugar cubes is with small tongs. *How to stir and sip? The tea is poured into the cup first. It should not be filled to the brim. According to etiquette protocol, sugar is added next and milk is added last. When stirring cream and sugar into your tea, do so gently in two or three motions. Tea should always be sipped in small amounts and not slurped. That seems like a perfect tea party for two or for 10. 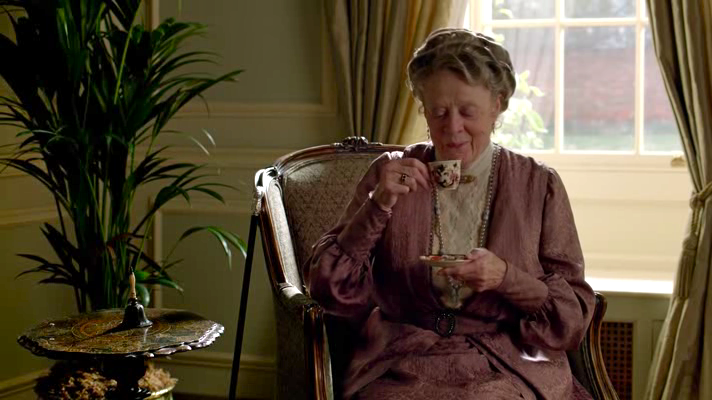 I love the advice on how to hold a teacup and how to stir and sip. Never thought that there's an etiquette for that! Love your website. Yet again, you've added to the conversation about enjoying fine baked goods with class and detail. But what about the tea itself? I've always been lost with what tea is best when - is English Breakfast only for mornings? And what about tea in the afternoon? And who knew there could be a drinking game associated with DOwnton Abbey? Pinkies Up!